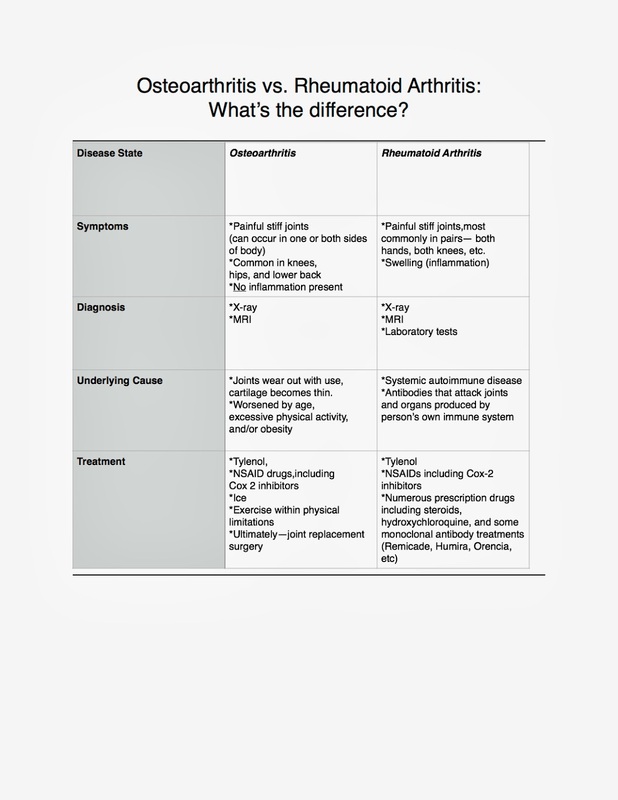 Rheumatoid Arthritis vs Osteoarthrits: What's the difference? Almost all of us fight some kind of battle with arthritis if we live long enough or exercise hard enough. Most likely, your battle with this condition is a battle with Osteoarthritis. Some of us are less fortunate in that the diagnosis of Rheumatoid Arthritis is made. If you've ever thought that arthritis is arthritis, well it's not. I created this simple little table for you to see why and how these two conditions are the same, and different!